OK, so you already knew all about the Strip in Vegas, you said? Of course you did. Labelscar readers know that we’re not afraid to trek off the beaten path, and when people tell me that one seven mile stretch of tar is all there is worth seeing in a city, it only encourages me to venture away even more. This is the first in a string of posts about the malls where Las Vegas area residents actually shop. 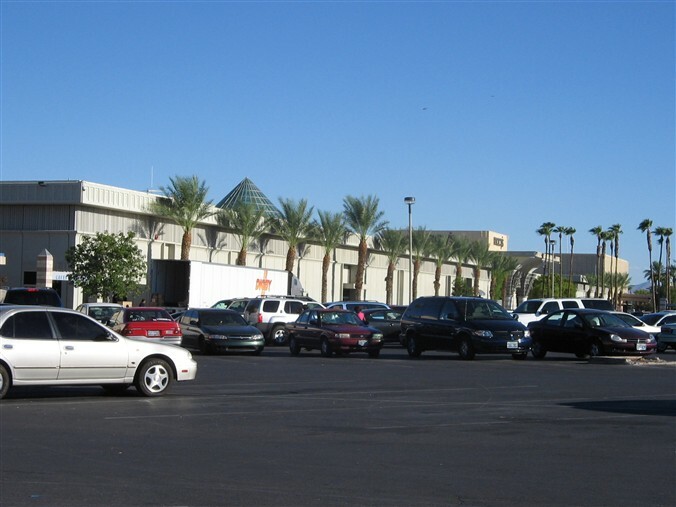 The Boulevard Mall is a General Growth Properties mall located approximately 2 miles east of the strip at the corner of Desert Inn Rd. and Maryland Parkway. 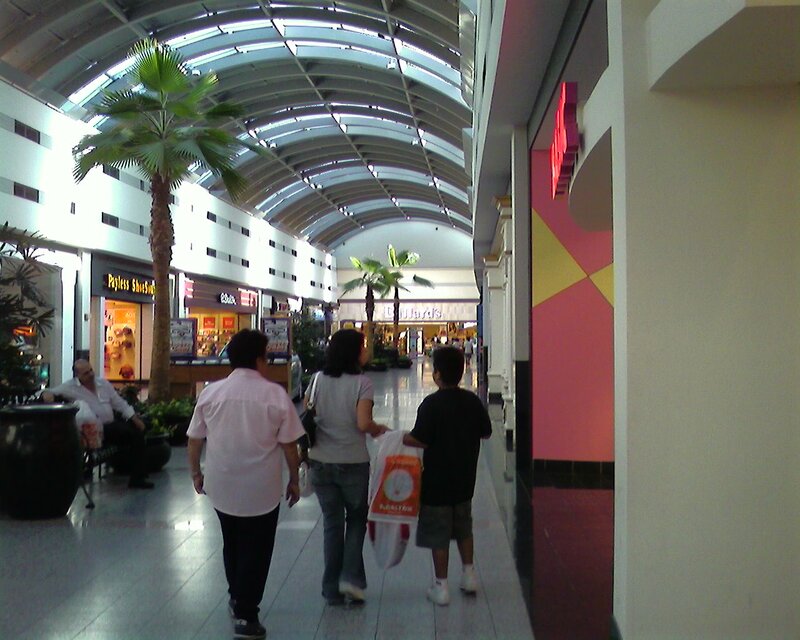 With approximately 170 stores including four anchors and 1.2 million square feet of floor space, it is the second largest mall in the valley and the oldest continuously operating one (the long-defunct Charleston Plaza Mall was the oldest). Built at what was apparently the “outskirts of town” at the time, the Boulevard Mall is now positioned pretty much in the middle of the city, near the popular tourist regions and much closer to the center-city than many of the area’s other malls, especially the Galleria at Sunset, which is its other competition on the city’s southeast side and is located way out in Henderson. I also think it’s worth mentioning the crazy, swooping supports in the front mall and the super-jazzy exterior. 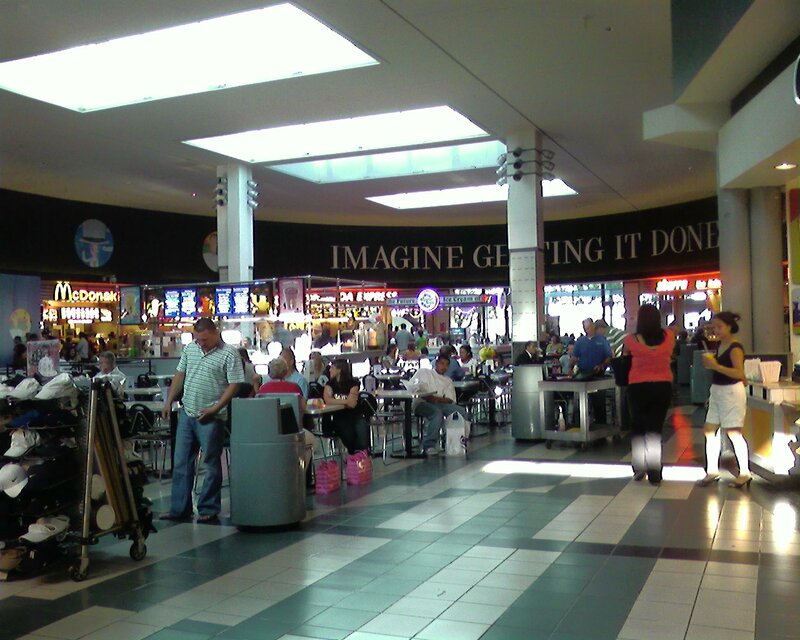 I thought this was a really fun mall, and if you know something else about it, please tell us! Someone else thought to take some pictures too, so check theirs out. I’ll be honest, it would really hurt my feelings, but you just might like them better. I’ve lived in Las Vegas since the 80s, and remember when they added on to the mall. 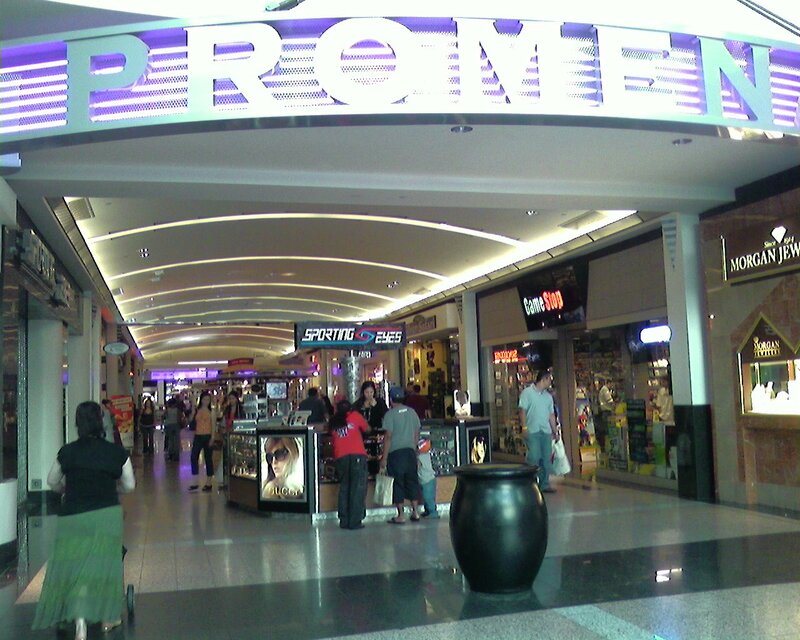 When they added on the named that hallway the “Promenade.” Most of the construction took place around the mid-90s, although they’re doing some renovations presently. The spot that is Dilliards now was originally Ronzones, a local chain of department stores. 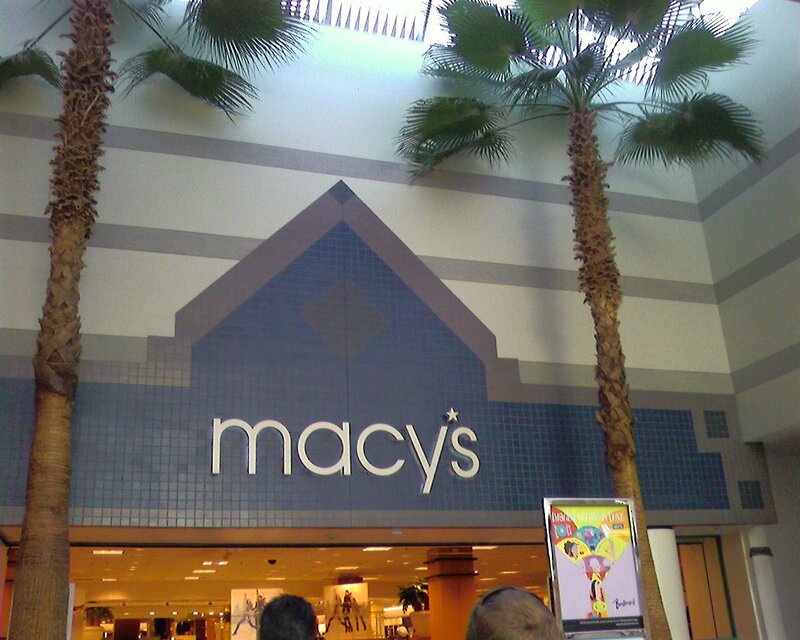 Macys was the Broadway before Macys West took over all their stores. 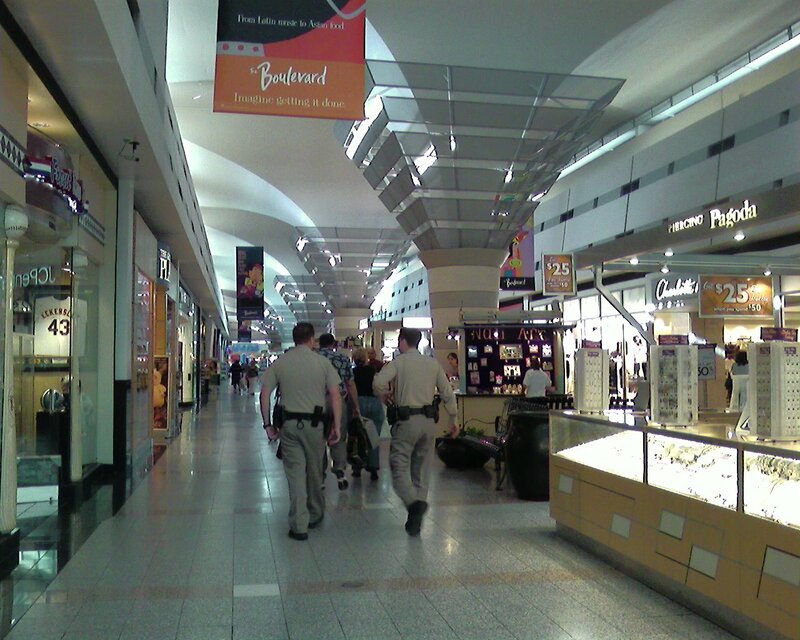 The Boulevard is an interesting mall, we’ve got lots of shopping here with the Fashion Show and the other malls on the Strip and the newer Galleria in Henderson. Chain stores are slowly leaving the Boulevard, American Eagle Outfitters and Hallmark have left recently. Hello there Angela. 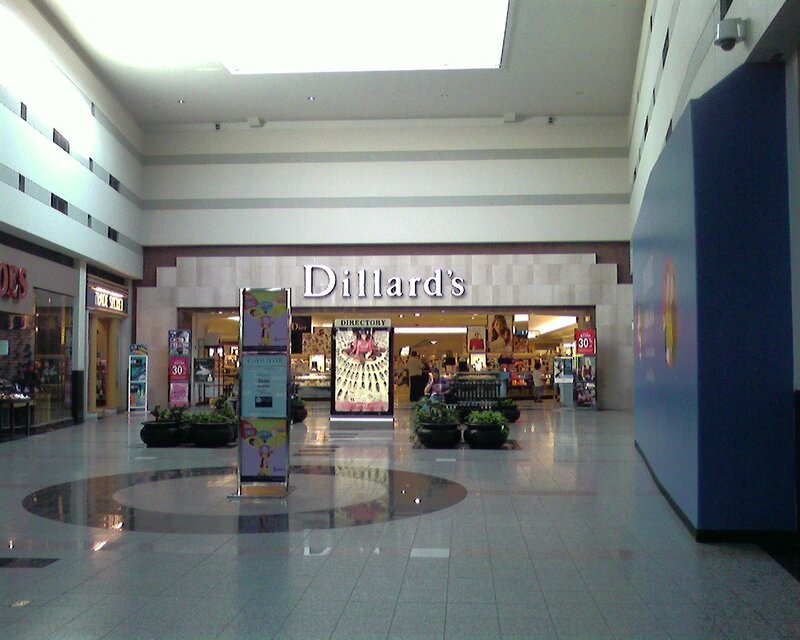 You stated “The spot that is Dilliards now was originally Ronzones” you were partially right, yes Dillard’s was Ronzones, however, where the Promenade is located was the original location for Ronzones, which became Dillard’s and was then demolished to make way for the expanded mall. At that time the Dillard’s (now shuddered) was rebuilt where it stands today. I love the Boulevard Mall. I have been shopping there since the 1970’s. Its my favorite mall here in Las Vegas. There are rumors that it is going to close and be demolished, I hope and pray that doesn’t happen. Wait wasn’t it Ronzones then Diamonds THEN Dillard’s??? I remember seeing a 1980s remodel of this mall profiled in a library book back in the day. The columns in the main mall brought the memory back. Yikes, narrow! I think this was one of the originals in LV. I hope it continues to thrive. Growing up in Henderson, the Boulevard Mall was the only place to shop. I remember the Sears Restaurant with its dim lighting. Sears also sold pet fish! The whole mall was stuck in time until the ’80’s, when they ruined it. I hated to see the classic original Sears sign replaced with the ugly logo they use now. There was a Woolworth’s in the Boulevard, too. If I remember correctly, it had a basement. I also remember that Sears had a popcorn stand in the store and sold records and hi fi equipment. JC Penney also had a diner! Wow, I really miss those times! Yes, Woolworth’s DID have a basement! There was a small pet store down there. Hallmark has not moved as it is just south in the Best of the Boulevard. American Eagle moved because not many people shop there in that area. Until recently, it also had the only Marshall’s in town. 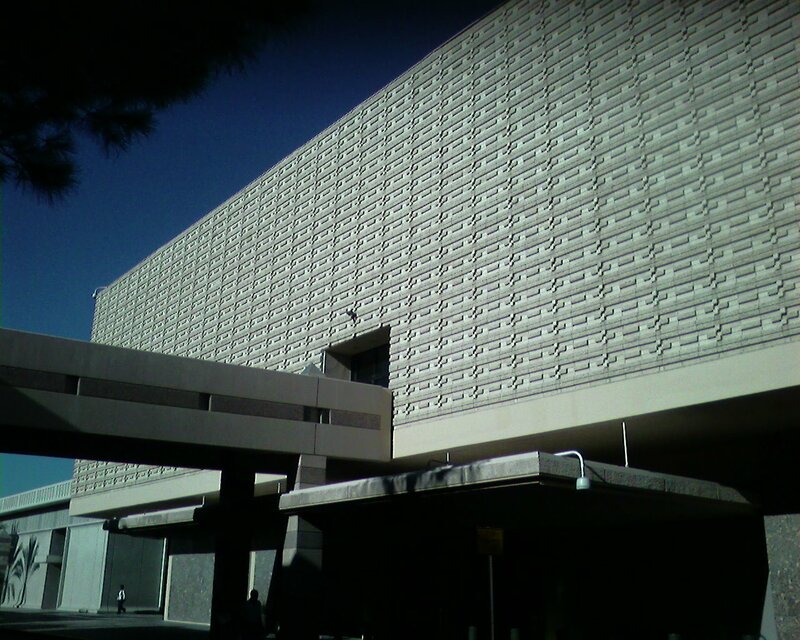 The Sears is different because it has a basement, which is really unusual in Las Vegas. I was at Boulevard yesterday and noticed that the Gap at Boulevard is closing effective January 27. Well, now there is a Circuit City there and the Foot Locker is being remodeled. Gap is a terrible store to begin with, no good fashion comes from there. I wonder when the Maryland Square across the street will be redone, since its been demolished. Maybe a power center or a supermarket-anchored center could go there. A DSW, Old Navy, or Petco, or something could go in there. Boulevard is useless. It is dying, slowly, but it is dying. I would rather go to Fashion Show before Boulevard. In fact, I would rather drive to Henderson than go to Boulevard. All of the department stores at Boulevard are dated and slowly the interior stores seem to be pulling out. I would agree that Vegas could use one or two more Old Navy locations. The Boulevard isn’t useless, its usually more busy than the Galleria. The department stores are in fine shape and stores are pulling out of the Galleria left and right more than the Boulevard. 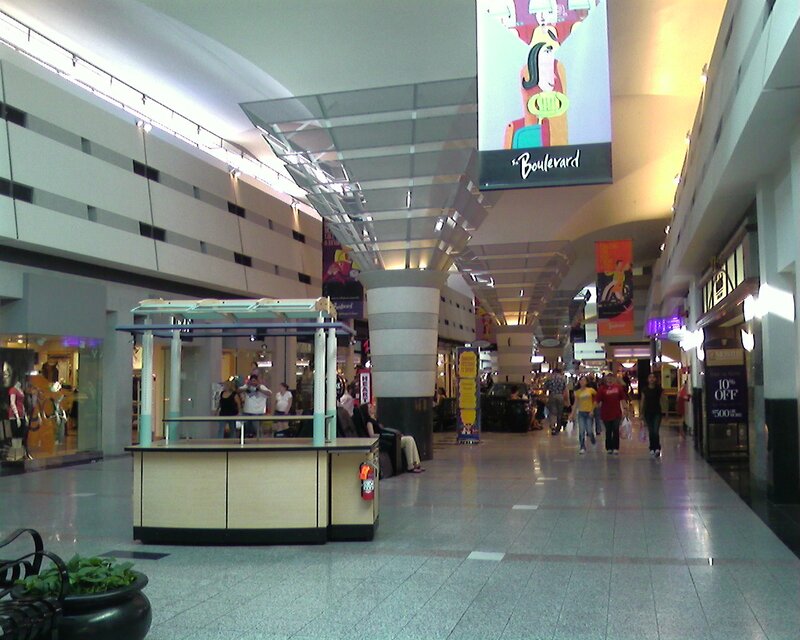 The stores at the Boulevard are useful and it has a nice food court as well. 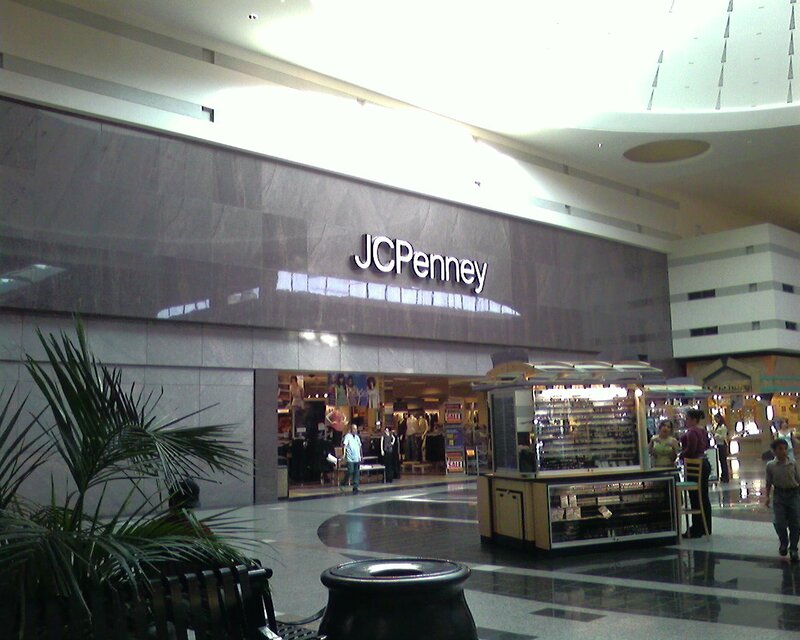 The Sears is huge, but they could expand the JCPenney. The Dillards feels like any other Dillards and the Macy’s feels a lot more upscale than the one at the Galleria and is also much busier. 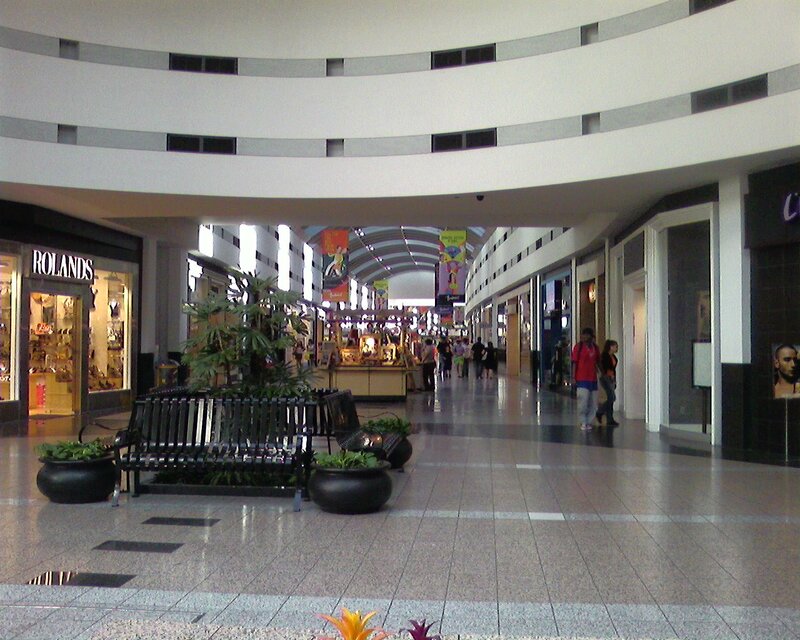 There’s a lot of stores you can find at the Boulevard that aren’t at the Galleria. Anyone got any more info on Maryland Square? I’m finding nothing. The Maryland Square was a big shopping center that went completely downhill a few years ago. The buildings were so old and bad-looking. The School District bought the shopping center and demolished some buildings to build an Elementary School. One or two buildings still exist and are being used by retailers (mainly independents). The rest of the remaining land has trash and old signs from previous tenants. I am guessing that it used to be a huge shopping center with a lot of service-related businesses. I think the land now is better suited as a power center as it is now an eyesore and empty. This mall creaps me out. People have said to me that the neighborhood is very questionable. After riding the bus through there several times there is no dout in my mind why that is the case. Galleria at Sunset is much nicer even if it is in Henderson. Here is a little history of the Ronzone’s department store chain, one of which was located at the Boulevard Mall. This caption is from the the Woman’s Research Institute of Nevada’s website. The entry was under Bertha Ronzone, who passed away in 1969. I lived in the Las Vegas area from 2002-2006. I remember reading in the local newspaper that a teenager was killed by gang members in the Boulevard Mall food court. They beat him to death in front of his parents and girlfriend, if I remember correctly. I don’t see how an Old Navy can save this dump. The area is very questionable, but the weird thing about the area is that back in the day (60’s and 70’s) the area was very affluent, you can still see signs of this if you drive to the East right behind the mall, seems once you get past, oh, Spencer I think, the houses get bigger and bigger and bigger. I have a home behind the mall….the neighborhood is actually great….virtually no crime at all….the houses really are amazing…and many are being renovated…..many celebrities and hotels owned homes there….the stuff that needs to go is the stuff west of Maryland….a lot of lowlife people in crummy apartments…..
One day those apartments will be bulldozed and the area will once again thrive….. The only thing we can blame for the dumpiness of an area is….People…. The pictures that are supposedly better don’t work. Anyone recall the grocery store at the Boulevard Mall? It was not connected directly to the mall, but near the Parkway Theater. Also, I believe it was the birthplace of Freed’s Bakery. I remember a teacher of mine telling our class about a woman who had been kidnapped from the Boulevard Mall some time in the 80s. She was murdered in the desert by a then Chaparral High School Student who I believe worked as a bagger at Smith’s. I never found anything on this, so I’m wondering if it is an urban legend. Any old school Vegas residents remember this case? Please post. Not an urban legend. You can read the details of the case by Googling “Scott Sloan.” I went to UNLV with the victim’s son when she was murdered, in 1984. When I moved to Las Vegas in 1981, the Boulevard was the only place to shop. I thought it was great. Macy’s was The Broadway and a great store. Many people would incorrectly call the Mall “Broadway Mall.” The Woolworth’s restaurant had great grill cheese sandwiches. There was a great restaurant “The Vineyard’s” which you had to enter from the outside. It had a lunch buffet with salads and pizzas. Near the time it closed (probably early 90’s) it went downhill (much like Alpine Village did). The Fashion Show opened in 1982, I believe. It didn’t seem to take much business from the Boulevard since it was considered upscale. In the mid- 90’s they redid the mall and Dillards moved to it’s current location opening up the Promenade to add more stores. They also added a food court. I forget what was in the food court area before they added it. I was there a few years ago during the Holidays and it was looking pretty bad. Lots of young kids and not much up keep. Now, I only shop at the Fashion Show but I do remember the Boulevard fondly. Thanks for the memories! True vintage Las Vegas 🙂 especially The Vineyard and walking through the Woolworth store just to get into the mall. Another possible nail in the coffin for Boulevard as Dillard’s announced they are pulling out of Boulevard in October. If there was any doubt this mall is on the decline, this is your proof. I think Dillard’s pulling out is a very grim sign for the future of this mall. The neighborhood is ghetto and the general economy of Las Vegas is in bad shape. 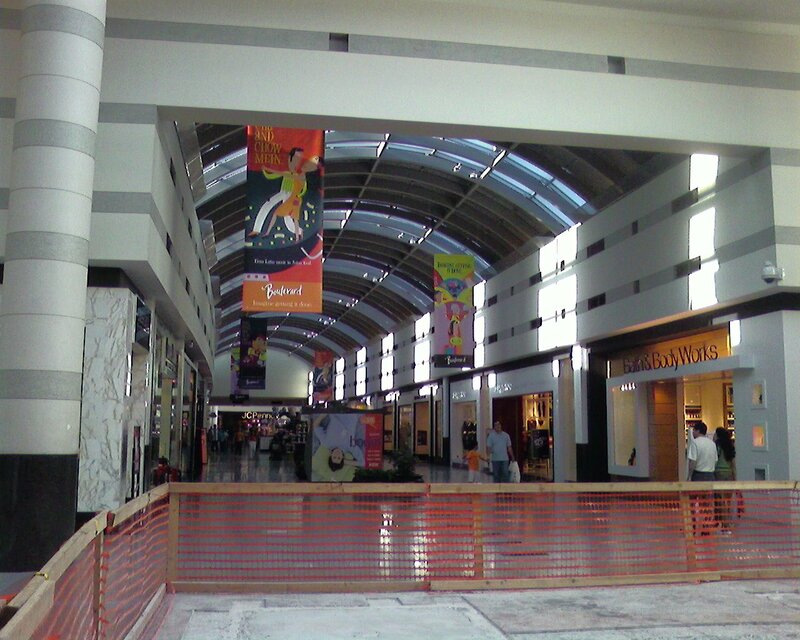 The Boulevard could soon become America’s next dead mall. This is sad because I have been shopping there since I moved to Las Vegas in 1977. I think that Dillard’s leaving is the beginning of the end. I think they might have a tough time filling that hole. My sister works at Dilliard’s. They are closing as many of you know. She has been moved to Meadows Mall. Rumor has it that yes the Boulevard Mall will close, and that Steve Wynn is going to make a golf course there. Rumors i remind you. I was Born (10/10/72) & Raised in Las Vegas, NV. I grew up in a House off of Flamingo & Mt.Vista. During my Teen years i LIVED at the Blvd Mall. I now live in GV,Henderson in Whitney Ranch by the Galleria Mall. It just breaks my Heart to see what a terrible Neighborhood both the Blvd Mall area & the House i grew up in as turned into!!! My fave Stores in the Blvd Mall growing up were WoolWorths, Contempo Casuals, The Limited, Foxmoore, WhereHouse Records, After Thoughts, & 5,7,9. We loved grabbing Lunch at good old Mickeyds and snacks at Orange Julis and Visitng the Pet Shop afterwards. I know everything Changes w/time but this is just so sad, i hate to see all this History go away like this…..
wasn’t the original Alpine Village Inn Restaurant on Las Vegas Blvd. South? @Esther, the only Alpine village i know of was across from the Hilton(International), next to the Landmark. It was across the street from the old Hacienda Hotel (now Mandalay Bay) in the 1960s before moving to Paradise Road, across from the Convention Center. I miss that place. @Reply to EXLV Resident, i just looked at the RJ article. it says she worked at Saks. that’s in the Fashion show, which just goes to show you. it is sad what the area has become around the blvd. back then, that was the nice, happening part of town. I got to vegas in ’72, and the blvd. mall was it! right next to penneys was Diamonds dept. store, and across from it was Marvin Strusser’s bed and bath shop with the most exquisite things! I still have some of them (a brass bow tie lamp that was about $300 back then!) Then, that NEW Meadows mall opened. Anyone remember a home decor store called the Habitat? I bought so much stuff there, they probably retired! I moved to Ca. in the 80’s, and just came back a few years ago. 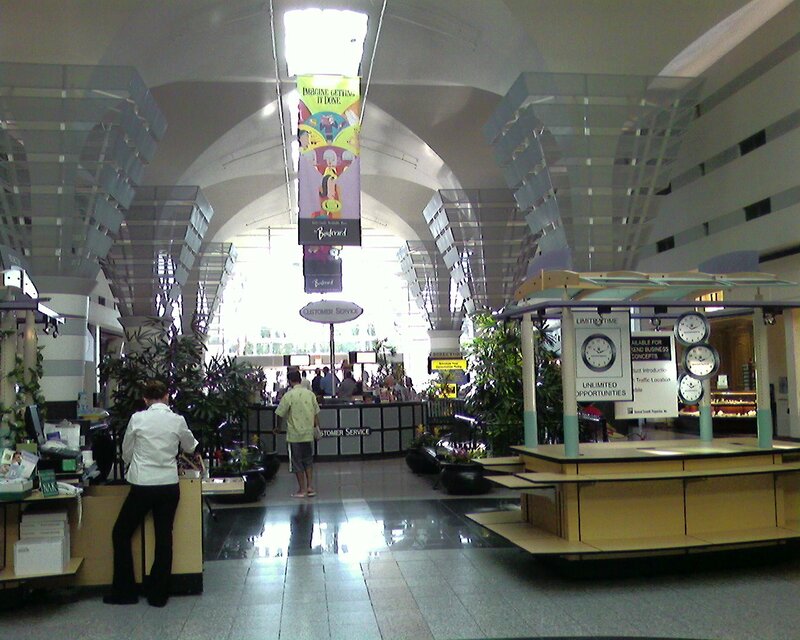 The Meadows Mall is expected to be demolished for a new arena June 2010. @News, You mean the Boulevard Mall, right? I worked at Diamonds in the Boulevard in 1977-78 and at that time it was very high class. I waited on several celebrities who shopped at the store at the time. I also worked at the Woolco down on Charleston for several years. Lots of great memories for me there. No, actually the Ghetto Meadow has a date with the wrecking ball. This one will probably die a slow and painful death. At the risk of repeating some info already here, I’ll throw in my two cents. My family came to Las Vegas in 1974, and the Boulevard was basically the only mall. The old Charleston Plaza Mall was still around, and it had its own charm, but the Boulevard was the place with the major anchors. Yes, around 20 years ago they added on a whole other section including the big, new Dillards which recently closed. In those days, the area around Maryland and DI was considered a pretty nice part of town. In fact, if there was a major “shopping area” this was it. As others have alluded to, the Maryland Square shopping center was across the street with Wonder World and a Smith’s Food King, and a bunch of other free-standing stores were nearby. There was also a shopping center with Mervyn’s, Service Merchandise, and Von’s at the southwest corner of Twain and Maryland. The area immediately to the west of the mall really went to hell in the 1980’s. The apartments along Sierra Vista St. have become gang and drug infested and that has hurt the Boulevard a lot. Very few things remain unchanged. The end down by Sears has changed the least. The little key shop stand alone building located by the Sear’s north side is still there, and I think that it is still functioning. 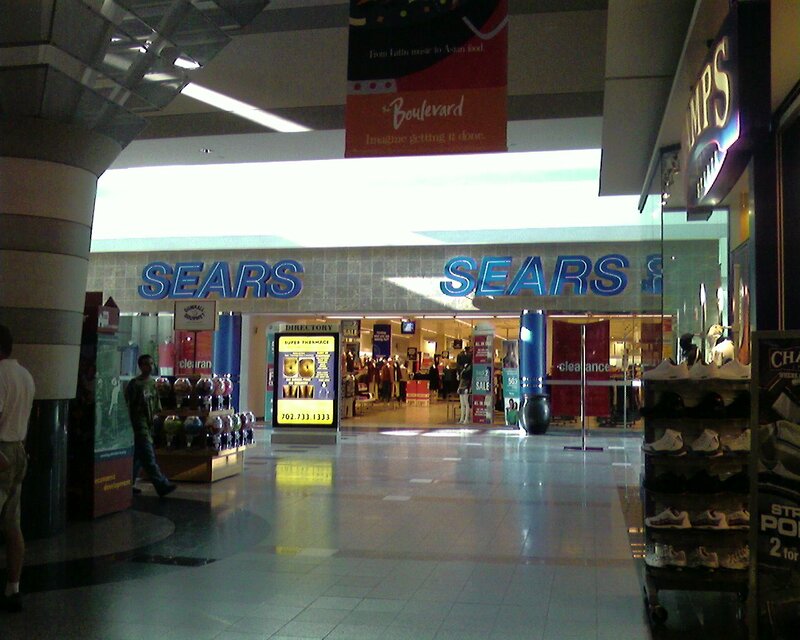 And if I am not mistaken, Sears still has the old style cursive “Sears” sign on the west outside wall. Going to the Boulevard is rather depressing these days, especially if you head down to the section by the former Dillards. It is a dark and empty. When I consider all the time I spent at the mall growing up, it makes me a little sad to see it in decline. Of course, almost everything about Las Vegas has changed drastically since I was a kid, so I guess this has to change, too. To add one more thing, not exactly related to the Boulevard but something old-timer’s will remember, it strikes me that we had a lot more shopping choices in those days. Circa 1980, if you wanted to go to what we would now call a free-standing department store in Las Vegas, there were a ton of choices. There was Gemco, Grand Central, Vegas Village, Wonder World, Kmart, Ardans, Woolco, and probably a few others that I have forgotten. These were full range department stores with clothing, electronics, sporting goods, housewares–you name it. Today, only Kmart remains of these, and the market is dominated by Target and Walmart. I lived in Las Vegas from 2003 to 2006 and left to come back to Chicago. 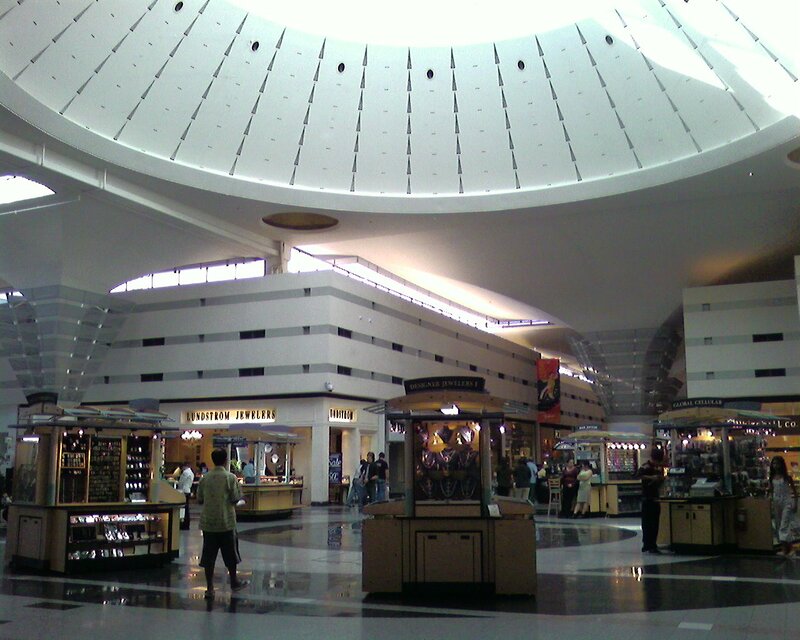 I just loved the Boulevard Mall had just the right stores; Sears, JC Penny and Macys what else does one need. 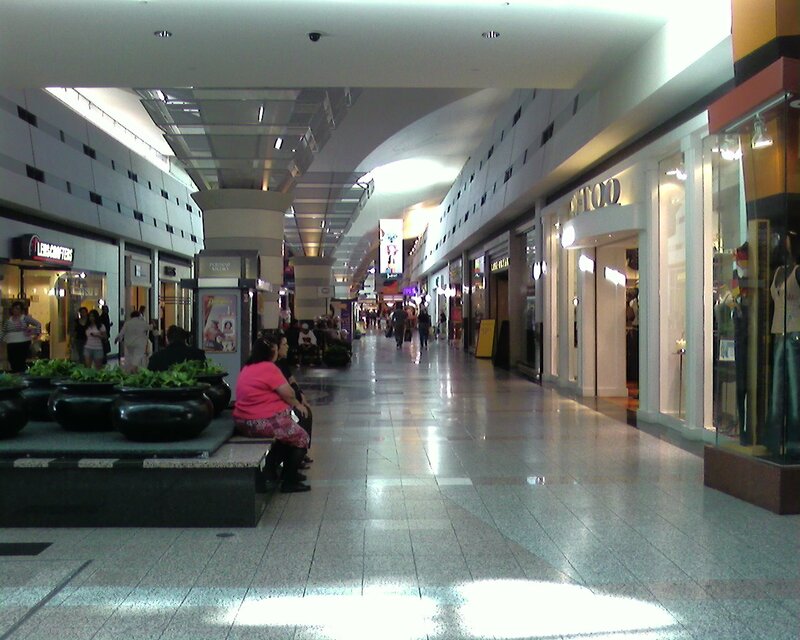 I felt so relaxed in the mall; people that worked in the mall were friendly and had fun. Jobs were the reason I left Las Vegas, but I am returning this year or next I will be closer to retirement and I will be able to hang out again. I love the hot weather and Las Vegas and can not wait to walk the mall again. 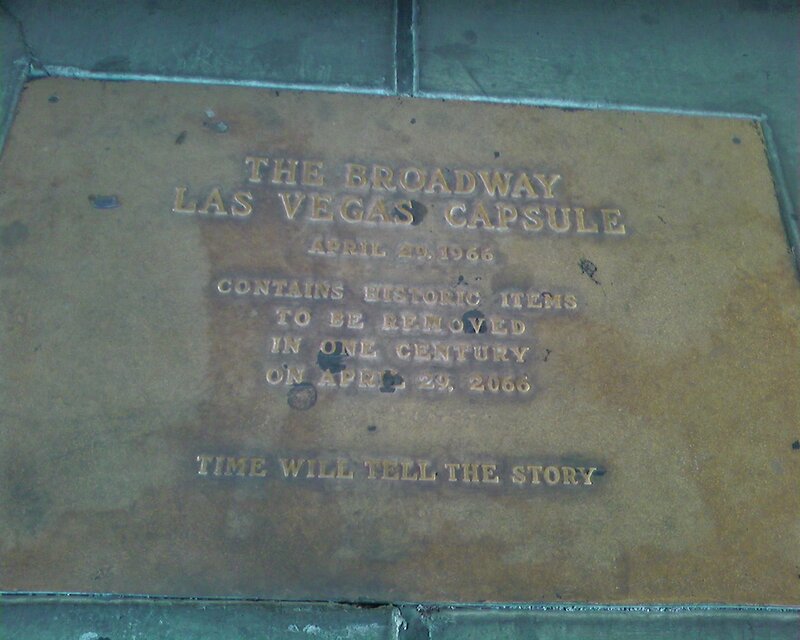 I lived in Las Vegas when the mall opened and worked at The Broadway department store. It was a great mall with desert surrounding it, I an sad to see what has happened to that area of town. The Boulevard Mall was amazing at Christmas (in the early 70s). I have a vague recollection of a lion cub being named Ronzone – or at least somehow connected with the store in the Boulevard. Anyone? I remember slices of pie on a turntable in a cafe in Woolworths as well as the fallout shelter sign above the stairs to the basement. Pet store in the mall… DoctorRex (?) near the entrance to JC Penney and Orange Julius nearby. Remember the fountains two(? ), a large one inside the main entrance and a smaller one somewhere. Are they still there? 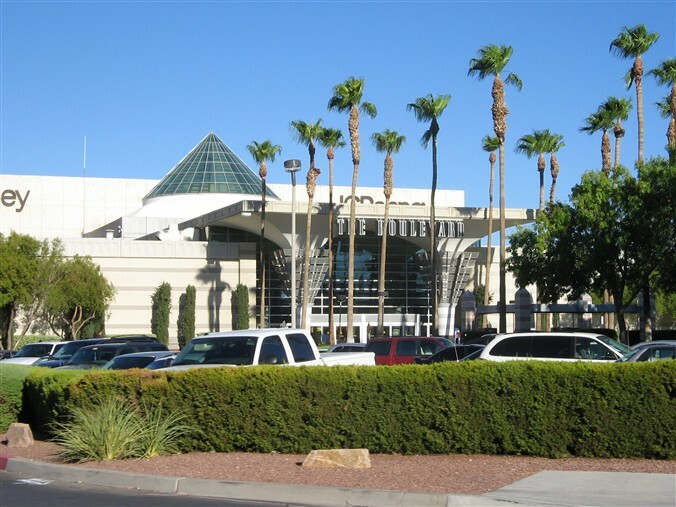 LAS VEGAS — The oldest mall in the Las Vegas valley has new ownership. The Boulevard Mall, built in 1965, was sold to Sansone Companies, Boulevard Ventures, a local entity. 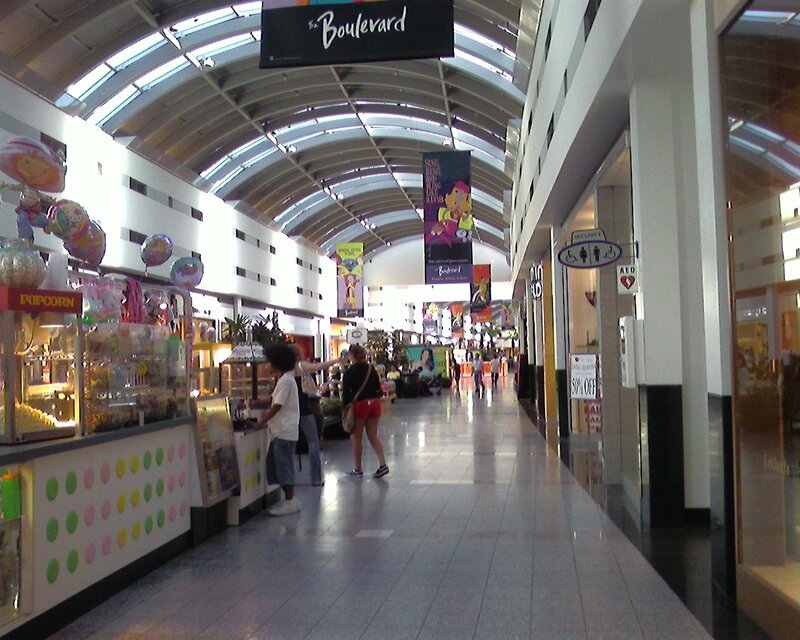 Boulevard Ventures plans to retain the mall’s existing tenancy and add new vendors. Charles Moore is the senior vice president of CBRE’s Private Capital Group, which brokered the sale. He says the mall was one of the largest retail assets marketed in Las Vegas over the past five years. “There’s some good plans. The mall itself has 75 percent leased at this point and his intension is to release as it is and bring new life to the asset that will cater to surrounding community,” Moore said. The new owner of the mall, Roland Sansone, is familiar with the Boulevard, he used to have retail shops in the mall. Running the mall is no new territory for Sansone’s company and they are about to make it bigger and better. “He is going to bring more excitement to the area, potentially some entertainment options,” Moore said. Part of the plan is to bring an entertainment venue to the property and while they are not sure exactly what that might be yet, CBRE says there is potential for a movie theater. Sansone Companies plans to also bring in more restaurants and new retail to fill the vacant spots, along with a full exterior and interior renovation. The mall went up for sale in June 2013 when the previous owner, Rouse Properties, completed deed in lieu of foreclosure. I went to school at William E. Orr middle school – right next to the mall. I remember if we wanted to go to the mall during school hours we had to ditch our backpacks in the bushes or the security guards would kick us out. We even had to do this after school on some days. There wasn’t much to it then but it was a fun place to go when we played rebels!